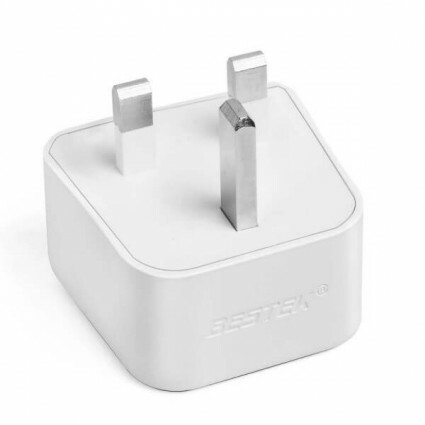 BESTEK travel adapter is designed as a mini portable grounded universal plug with high quality performance and provides you the best quality products of newly-fashionable and superior professional customer service for end-users. Newly-designed internal metal interfaces provide better electrical conductivity. Compatible with all kinds of plugs in different countries, except for South Africa, Max capacity: 2500 watt (max 250 volt, 10A). Safety guard inside the socket prevents children from electric shock. Made from high fire resistant VO ABS material, heat resistant, durable and reliable, IEC and ROHS certificated. Light weight and small size plug adapter, perfect for your worldwide travel and business trip.